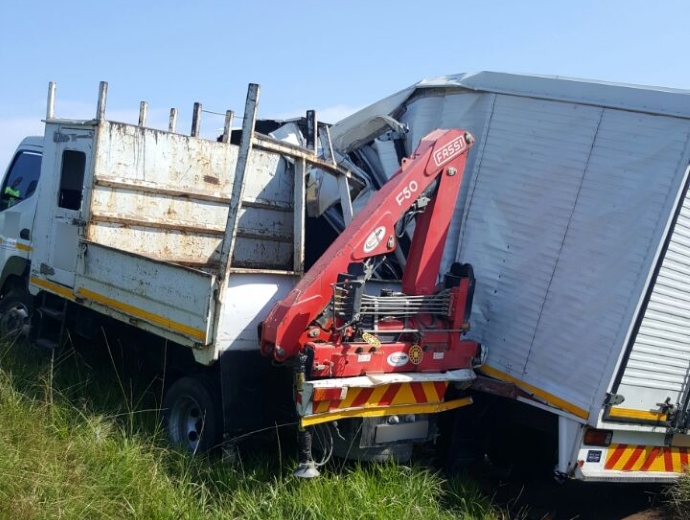 Six people were left injured this afternoon, three of them children, when two trucks collided on the N2 southbound in the Umgabba area in KwaZulu-Natal. ER24 paramedics arrived on the scene and found both trucks on the side of the road. Three children and three adults were found walking around on the scene. Paramedics assessed the children and found that the three children, aged between 5 and 15, had sustained minor to moderate injuries. The three adults, all from the one truck, had sustained minor injuries. It is understood that the children had sustained their injuries when they were running away from the trucks when they collided. Paramedics treated the patients for their injuries and thereafter transported them to Prince Mysheni Hospital for treatment.